Emissions Scandal: The death of diesel? If you think the scandal over Volkswagen manipulating emissions tests from its diesel engines won’t impact classic cars, think again. Only last year, Mayor of London Boris Johnson was calling on the Government to launch a new scrappage scheme aimed at getting rid of polluting old diesel cars – and that puts oil-burning modern classics at risk. Why? Well, when the original scrappage scheme was introduced in 2009, hundreds of future classics were crushed. And the same could happen again. There is already a question mark over the next generation of classic cars. While the Government’s historic tax class may be rolling again, bringing cars from 1975 into the free tax band, cars from the new millennium will be lucky to last another 25 years because of high running costs. Cars built after 2001 have their vehicle excise duty based on emissions data. Just think about MG’s popular Z-cars. Arguably one of the finest cars to roll off the Longbridge line, the MG ZS has a 2.5-litre V6 engine and handling to match. It’s a nailed down future classic – but a year’s road tax will set you back £290. With these cars costing as little as £700 to buy, even the most enthusiastic supporter of British cars will find it hard to stump up nearly half the car’s value again in tax. Emissions, it seems, is the stick by which the classic car enthusiast will be beaten into submission. The Mayor of London’s attack on diesels is just the first move, and Boris has some strong supporters in his corner. The Environmental Audit Committee, is backing the diesel scrappage scheme to help tackle a ‘public health crisis’ in air pollution. It’s report, Action on Air Quality, makes stark reading. The report says that 28,969 people in the UK were killed by air pollution in 2010. The report is also calling on the Government to introduce a national framework of Low Emissions Zones. Until now, the Government would have been reluctant to tackle the diesel question – especially as 50 per cent of new car sales are diesel - and those sales have been critical to helping our economy recover after the credit crunch. But with the Volkswagen emissions scandal, the Government has the public on its side and has essentially been given a mandate to launch an attack on ‘dirty diesels’. What happens next could see an entire generation of future classics wiped out. 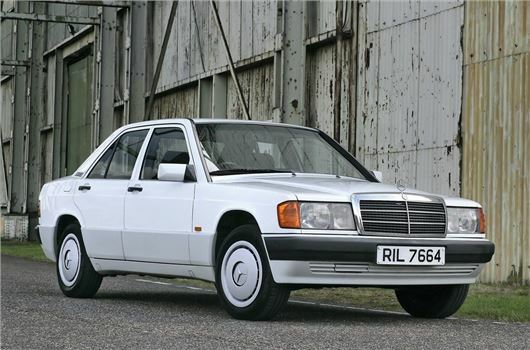 As well as oil-burning Mercedes-Benz W124 and 190 models, the Audi 100 (one of the first turbocharged diesels) is in the firing line, along with the Montego, MkI and MkII Golf, the Vauxhall Cavalier MkII and the Ford Sierra. If this scandal triggers a new diesel-destroying scrappage scheme, all these cars could targets for ‘cube and collect’. And that is bad news for the future of classic cars.